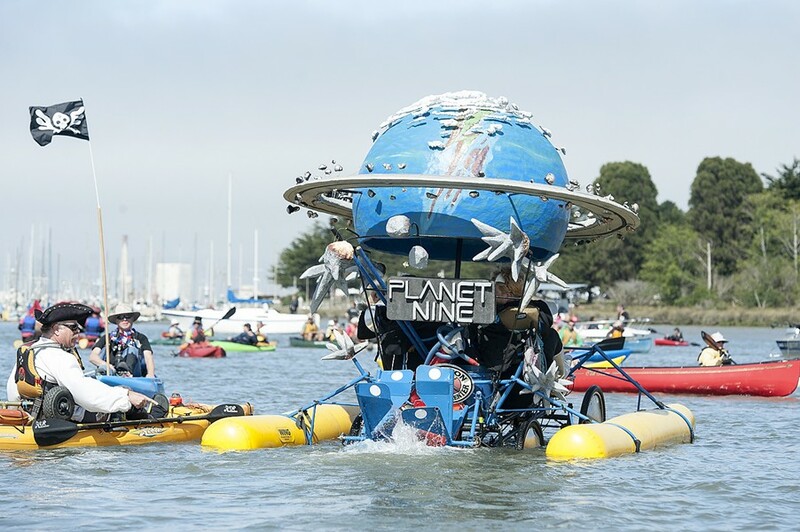 Planet Nine's cat people doggie paddle out on Humboldt Bay for the Kinetic Grand Championship on Sunday. 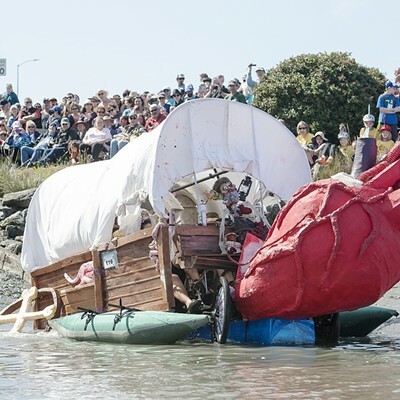 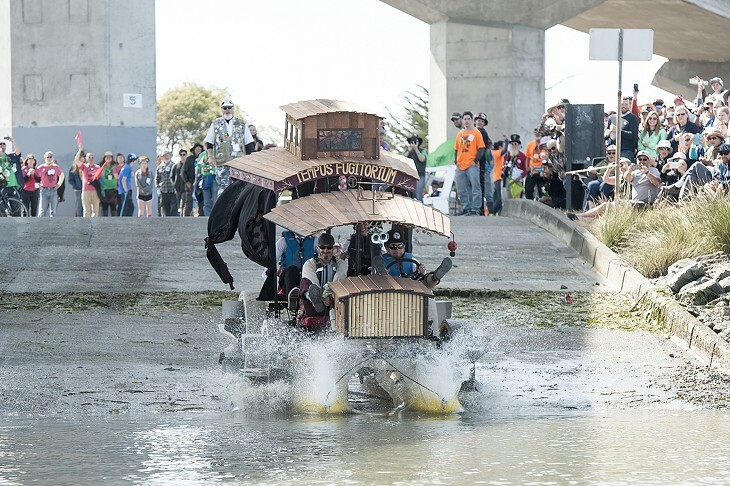 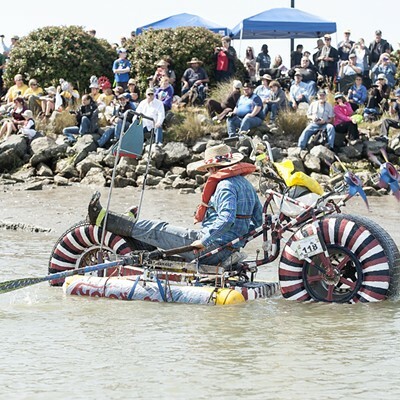 The Kinetic Grand Championship is the art race that floats. 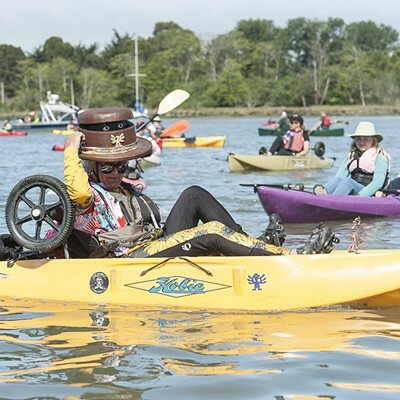 (Fingers crossed.) 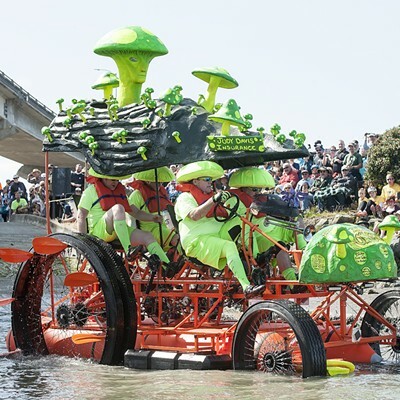 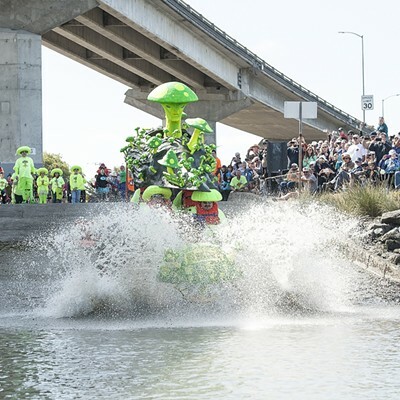 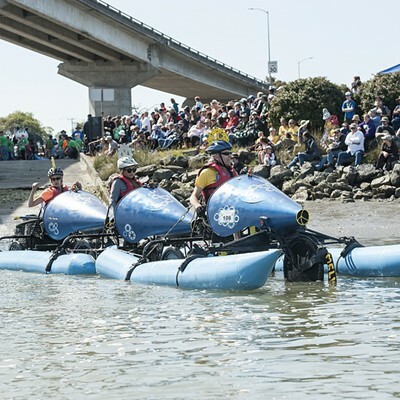 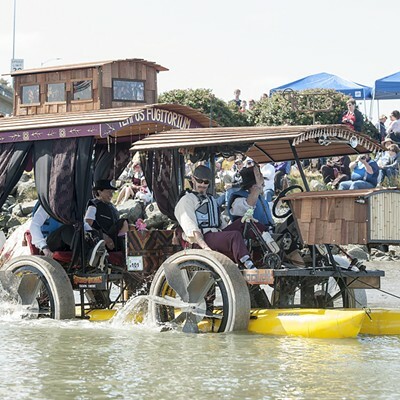 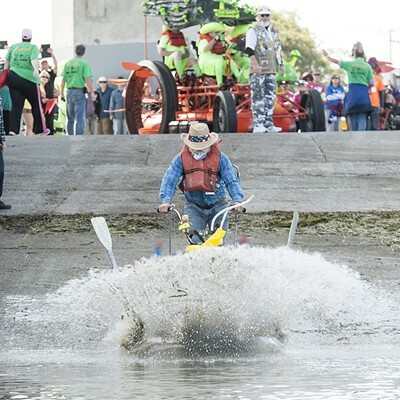 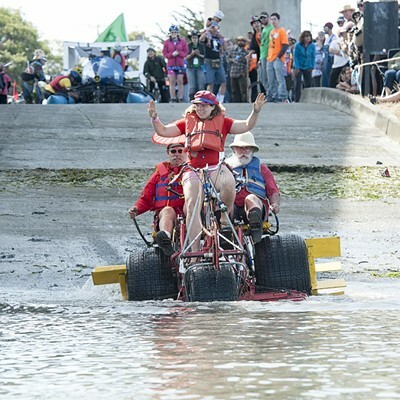 After the pageantry of the Arcata Plaza kick-off and the sandy adrenaline rush of Dead Man's Drop yesterday, racers hit Humboldt Bay with amphibious ambition today. 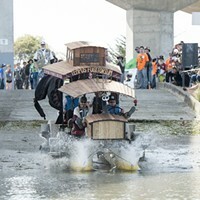 Mark McKenna's slideshow below captures the wild and watery action. 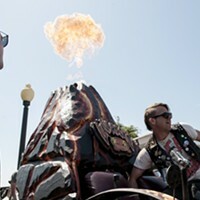 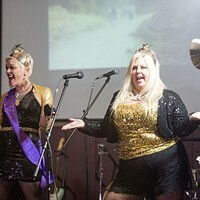 Stay tuned for news from the Ferndale finish line tomorrow, the third and final day of the annual mobile madness.